← MAJOR BOGART SPEAKS: Funeral Arrangements for Earl Slagle’s Sister.
. As the staff was in in-service at that time in Nashville and Chad Bogart was literally the only one holding down the fort, I went in his place and my job was to be his eyes and ears (and mouth occassionally) throughout the whole thing .Altogether, it was a very eye-opening experience and while I was there, got to know better people I already was acquainted with and met some very nice new friends. 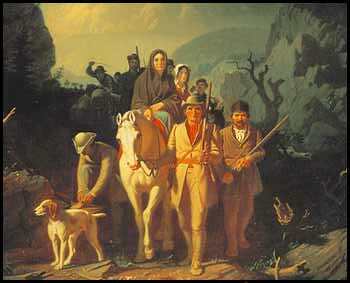 I truly began to appreciate the importance of the work of Daniel Boone, the Wilderness Road, the Daniel Boone Trail and Trace and how these people hacked a Paradise in this wild place. Joan Short, a volunteer at the Natural Tunnel State Park and now President of the Daniel Boone Wilderness Trail Asssociation , came to the Carter Mansion on Tuesday and asked if I wanted to come to their meeting held today. I said I would and sure enough, I did. It amazed me how much work they do in that area, educational and school programs, monthly talks and more , with the goal of telling the story of the Westward expansion of people from the Frontier to the Frontier over the Mountains into Kyn-tuck and points beyond. It drove home to me how our locations are inextricably linked as our stories overlap so closely. 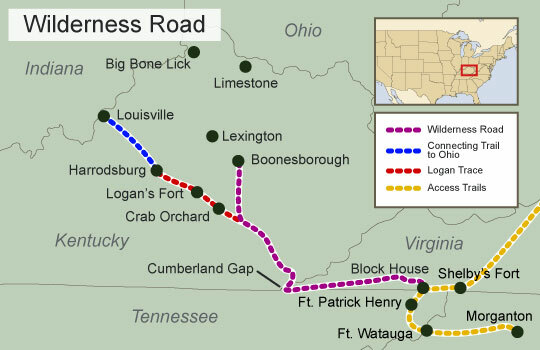 With that in mind, over the next few days, I’m putting up the links to all of the parks along the Wilderness Road and the Daniel Boone Trail in a separate section along the right margin and I do hope you visit them frequently to see all the wonderful things each group is doing. You will be able to see how the stories interlink and how hard people are working to keep our heritage alive.